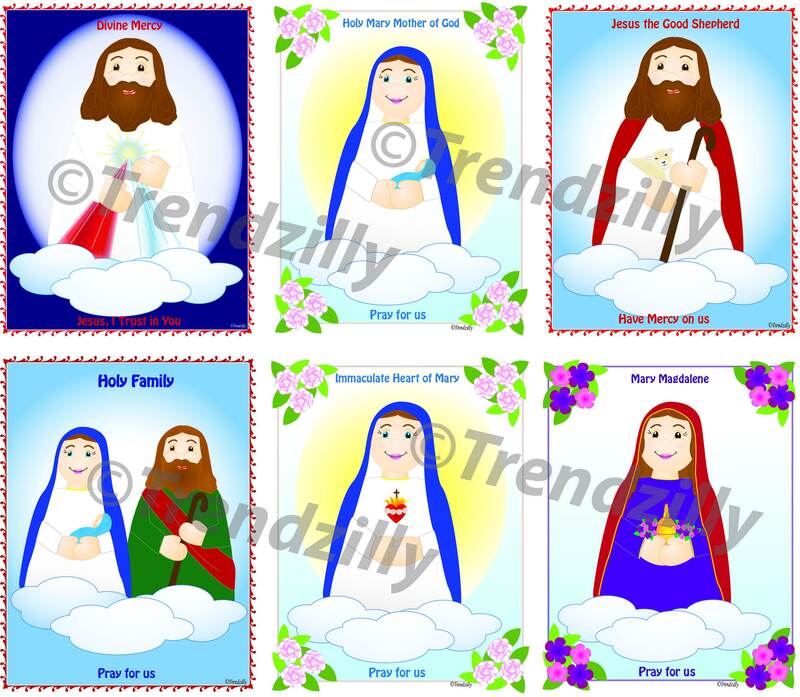 Soft Saint Holy Card Set, Saint Trading Cards, Kids Saint Cards, Feast Day Holy Cards, Trading Cards, Collecable cards, Printable Download. 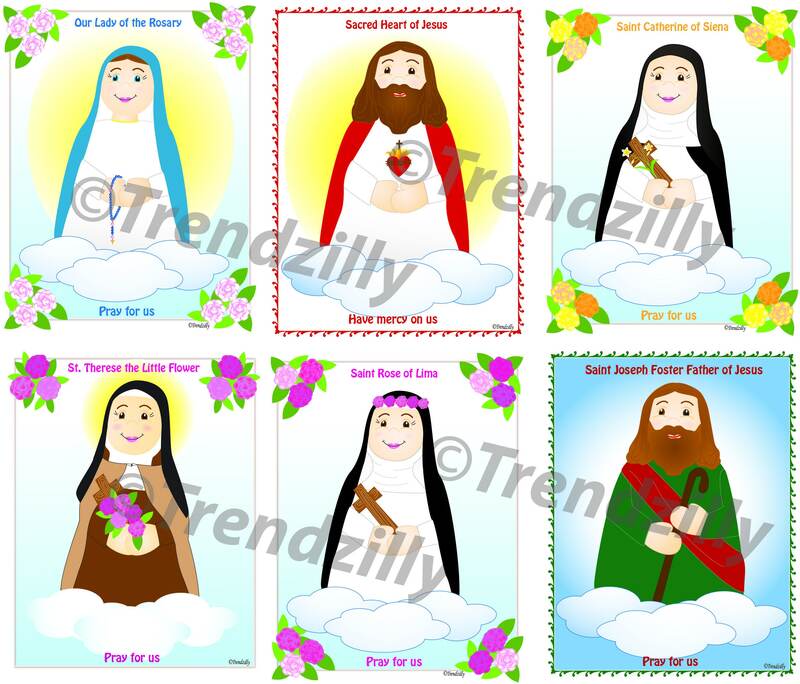 Updated with new Saints. 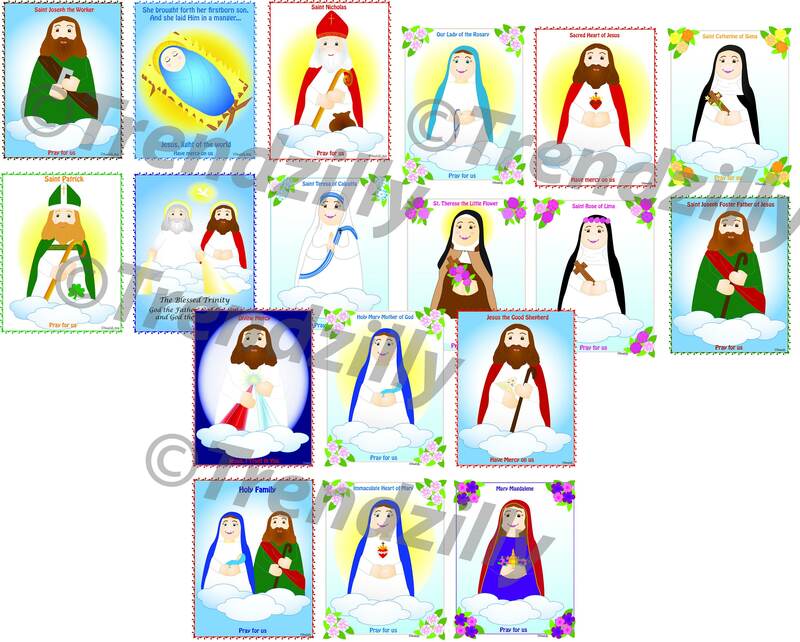 Now including Saint Teresa of Calcutta! 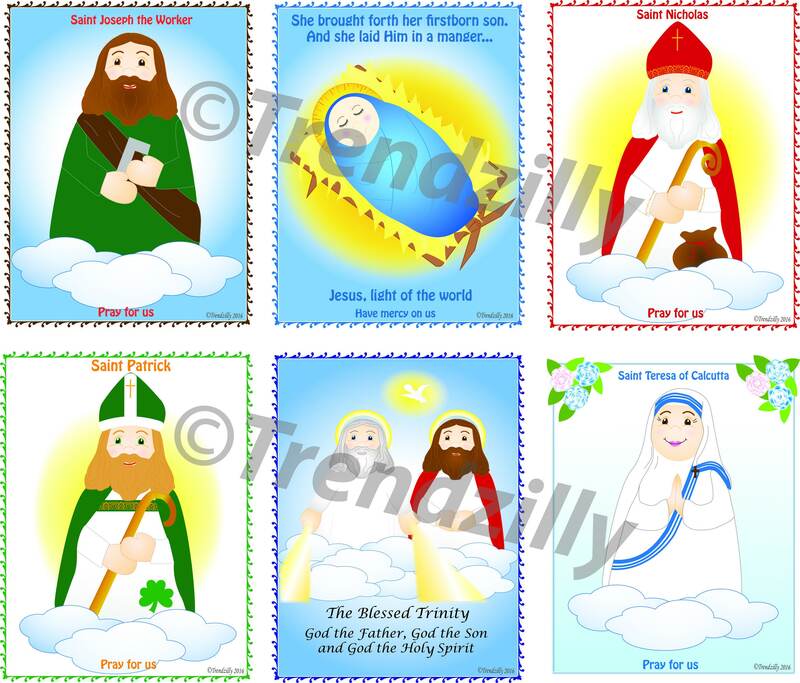 Soft Saints Holy/Trading Cards has 18 illustrated Soft Saint Dolls in PDF format for you to print out for your little ones to learn about the saints. 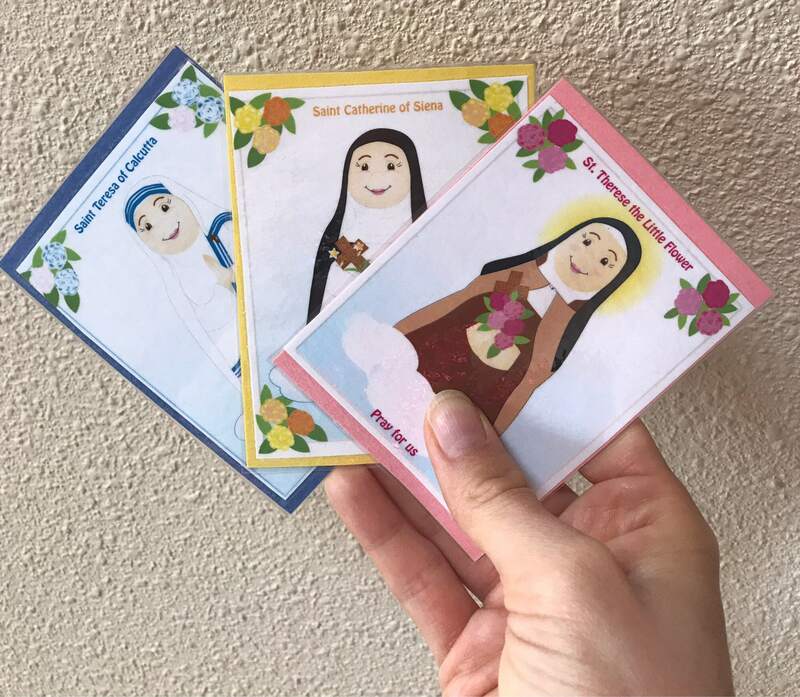 Illustrated to look just like the dolls, kids will love having a holy card of their favorite Soft Saint dolls. 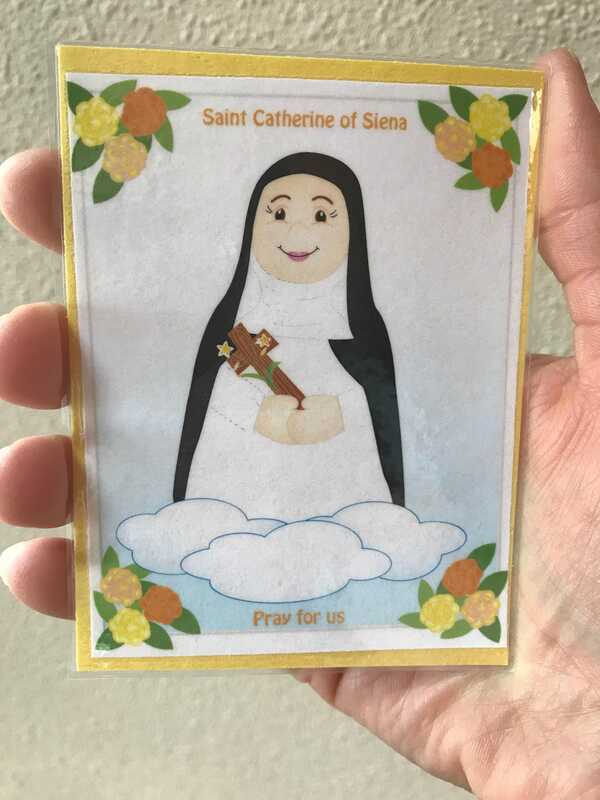 Print on card stock, photo paper, plain paper or sticker paper. Laminate for a longer life. 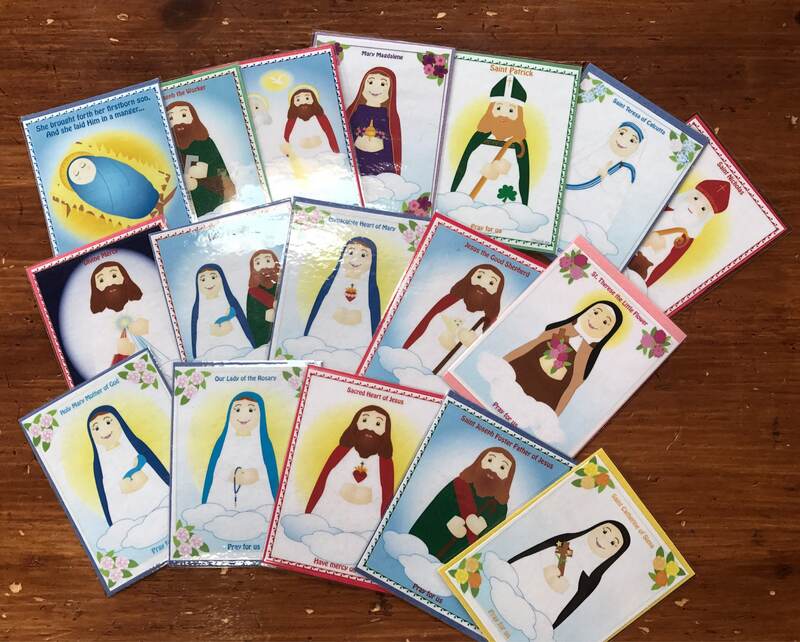 Teach little ones about the saints using these Holy Trading Cards and Soft Saint Dolls. 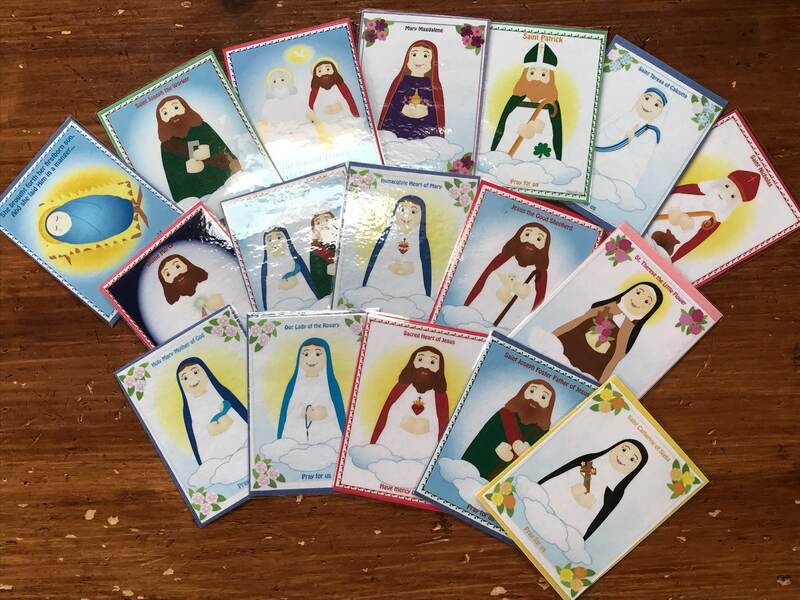 Holy Trading Cards are approximately 3"x 4" and are 4-6 per page. ***Downloads are for personal use only! Can not be sold or used in any way other than the intended use without permission. Thank you!